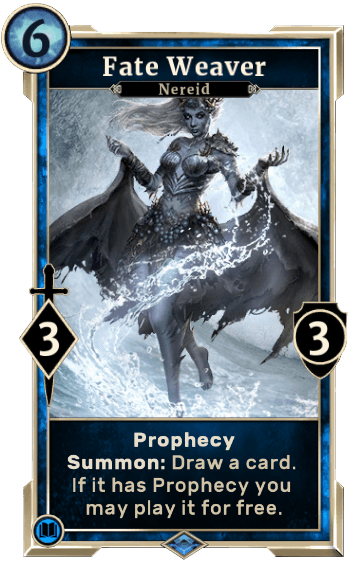 Fate Weaver is a Card in The Elder Scrolls Legends. Summon: Draw a card. If it has Prophecy you may play it for free.